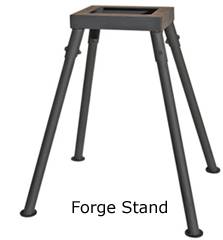 Designed with maximum flexibilty in mind, this extra wide propane forge features 9-inch wide openings front and back. 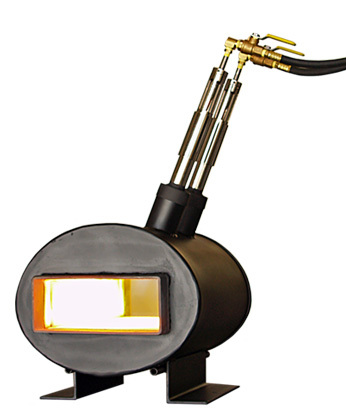 Our dual 1-inch Diablo Burners supply formidable power to meet the demands of production work. This just may be the ultimate forge. 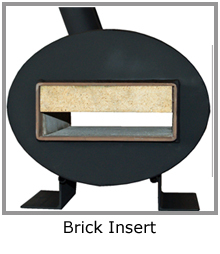 Forge Body Constructed of 16-gauge steel, the custom made oval shell is strong, lightweight and will not draw heat from the forge chamber. Forge Interior Fully lined with two inches of ceramic blanket. 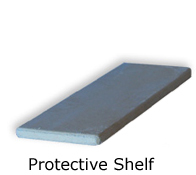 which increases the forge's fuel efficiency up to 30%. Powerful and efficient, these 1-inch burners are pre-tuned to develop a neutral flame leaving little oxygen for scaling. Each burner can be controlled independently. 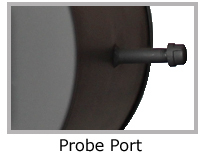 Nozzle design is longer lasting and increases efficiency. 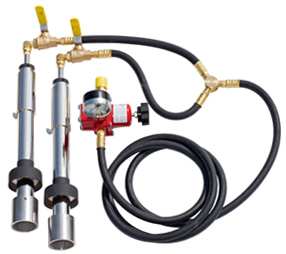 The Diablo Burner's operating pressure range 3 - 20 PSI.